Small speakers placed directly over the ears to listen to sounds from the player. 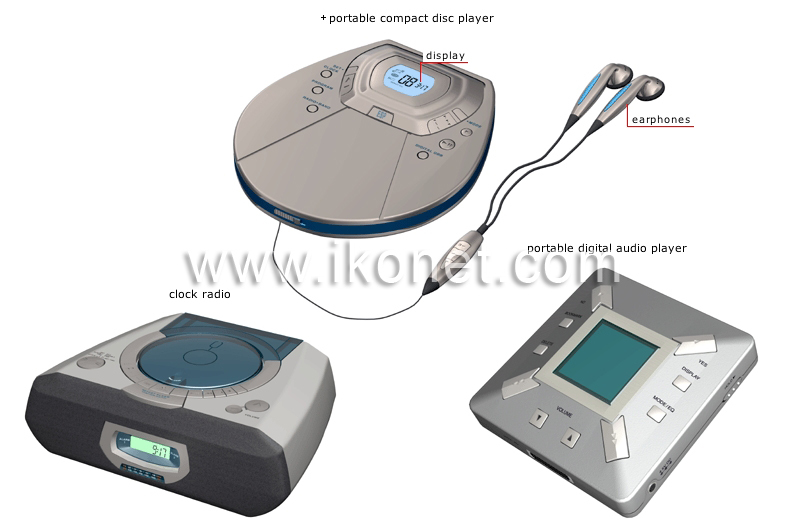 Portable player for digital music files. Portable radio with a built-in alarm clock whose wake-up mechanism is a buzzer or a radio station setting.